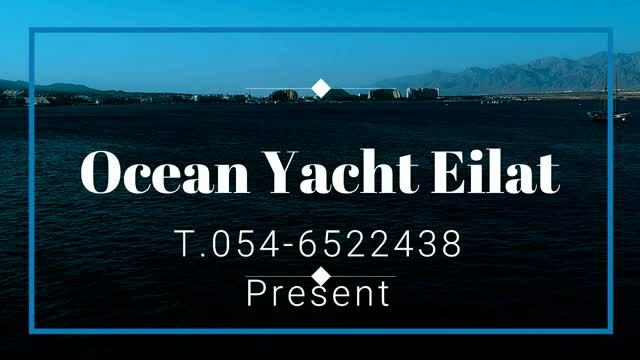 The Fairline Yacht at the Red Sea Eilat is located in the marina of Eilat. Attractions, Restaurants and the beach in 5 minutes walk. The yacht is just great and it was the best experience we ever had. Cookies, chips fruit and a lot more. The cruise was just amazing, wonderful and great. In Eilat or at any other place. The wonderful Fairline Targa 52 it's an open form yacht, with the canvas roof retracted, there is a true sense of freedom that continues out onto the cockpit with its large, inviting sunpad, the whole area internal and the outside top supplied with air conditioners. There’s space, and lots of it, beautifully considered sociable areas, luxurious and stunning in their simplicity. The cabin layout features a fabulous forward double cabin, two single cabins, convertible to double, two bathrooms. The perfectly formed galley enjoys a tall fridge/freezer and pull out larder. Large panoramic windows at the Top add to the sense of light and space in the generously, well appointed saloon. Moving out onto the cockpit you can take a seat or stretch out on the large sunpad, with the luxury of being able to control how much sunlight you get by simply activating the powered retractable cockpit roof. Providing to our Customers the best yachting experience possible with intimate understanding of every Client preferences and meticulous attention to detail.